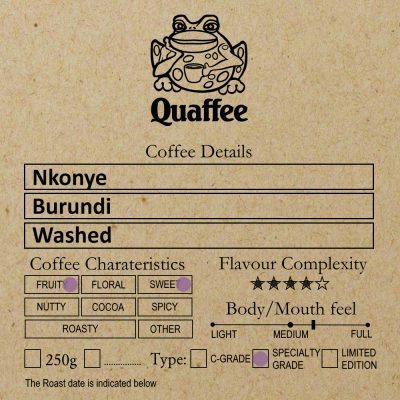 Fully washed Burundian Nkonye from Long miles coffee project tastes like sweet fruit with balanced with the tart acidity. Roasted at the Vineyard Hotel Roastery. 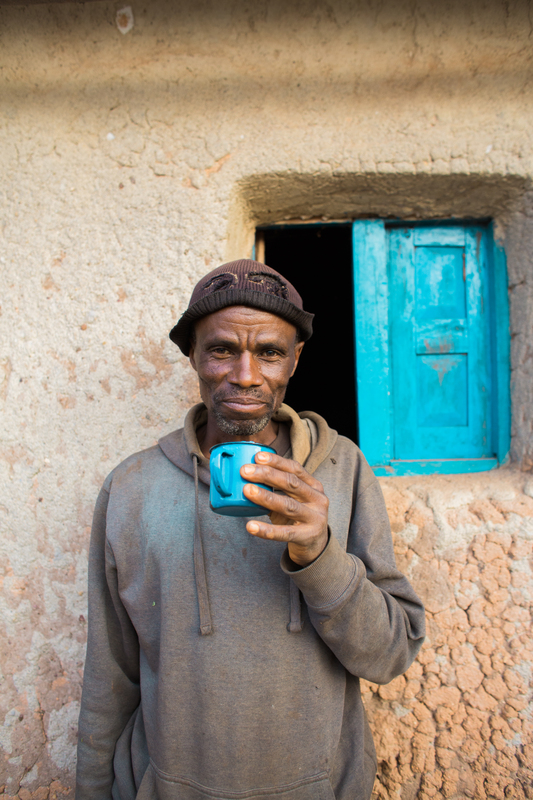 Burundian Nkonye sourced from Long Miles Coffee Project via Specialty Coffee Exchange. 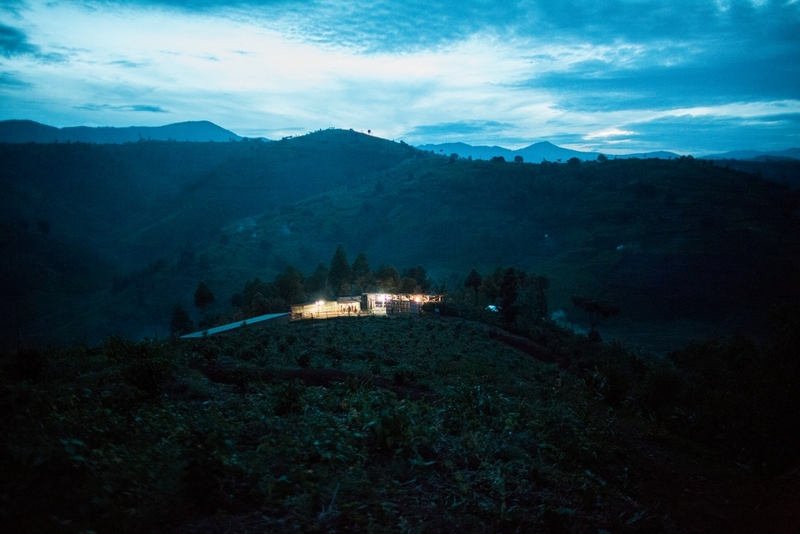 Burundi, like its neighbour to the North Rwanda, sits in the Goldilocks Zone for growing coffee. 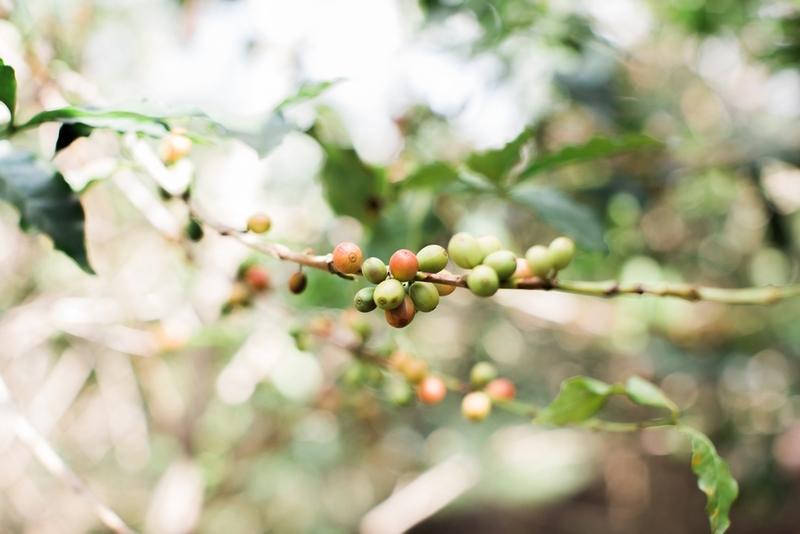 Temperatures, Soils and Altitude all are ideal, for producing great coffee. As a result coffee is a major export. The country has suffered under war and various regimes and this is still the case today. 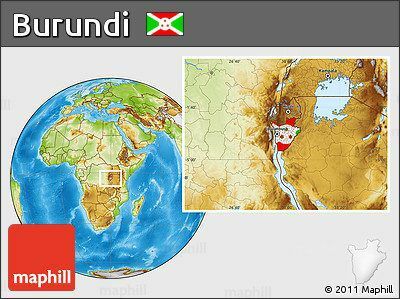 The current unrest has its roots in a 2015 (read more here: Burundian unrest (2015–present)). It means that the logistics of getting coffees from this country can be a challenge. 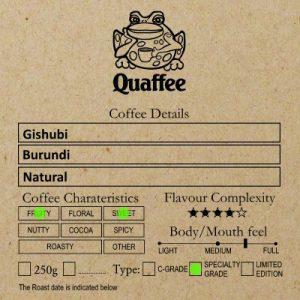 Quaffee started working with the Long Miles Coffee Project in 2013. Ben and his wife Kristy fell in love with the country and uprooted the family with a vision. We met Ben in 2012 on a customers couch, and the relationship started then. From his first crop in 2013, that we were able to secure, through the troubles in 2015 (we missed a year here) and the current challenges. Ben and his family have set up two processing stations that work with the locals to process the coffees using quality as a focus. Local farmers benefit financially from this direct involvement, both because of higher premiums paid, and also thanks to the agronomic assistance the project provides to growers. A result of which has been an increase in production and quality. This Nkonye is our 2017/2018 crop and fifth shipment from LMCP. 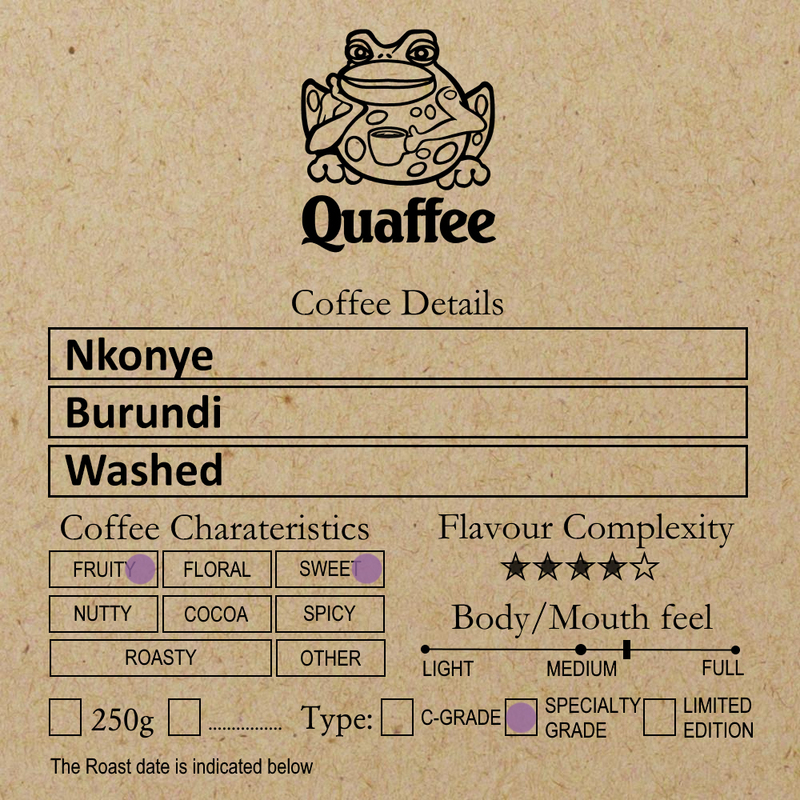 The coffee is a base of the Vineyard Espresso Blend, but easily standard on its own. Nkonye Hill, Heza washing station. Two selected lots from 1,392 farmers, 167 270 from trees. AeroPress (16g:200g), Espresso (Ratio 1:2.5), Filter, Plunger and Pour over (1:16), automatic machines.